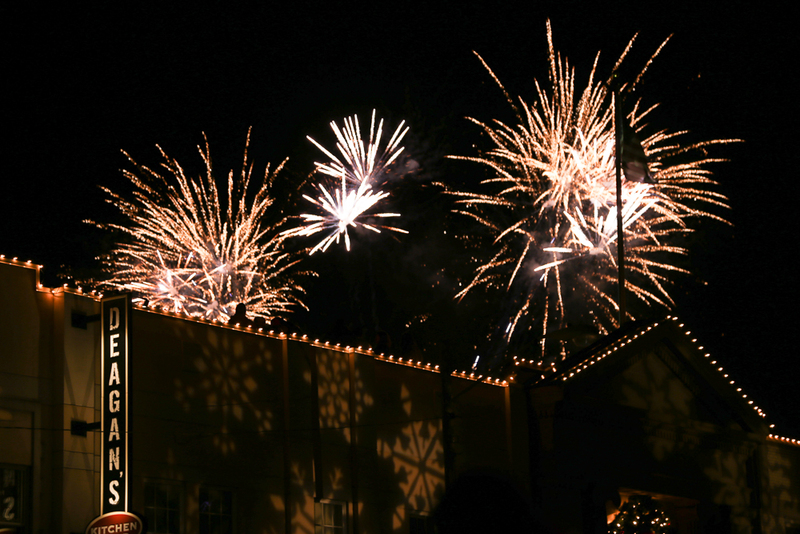 Traditions abound during the holiday season and Light Up Lakewood is no exception. Both the popular community event itself, and many of the festivities comprising it, are woven into the framework of many Lakewoodites’ holiday rituals. Here’s our list of the top 10 traditions associated with Light Up Lakewood 2017, which is presented by LakewoodAlive and sponsored by First Federal Lakewood. This festive community event takes place Saturday, December 2, in Lakewood’s downtown district. Lakewood’s historic Masonic Temple is the site of Vendor Village, which presents a prime opportunity for attendees to experience product offerings from area merchants while staying warm. It’s a perfect change-of-pace from all the festivities taking place outside along Detroit Avenue. 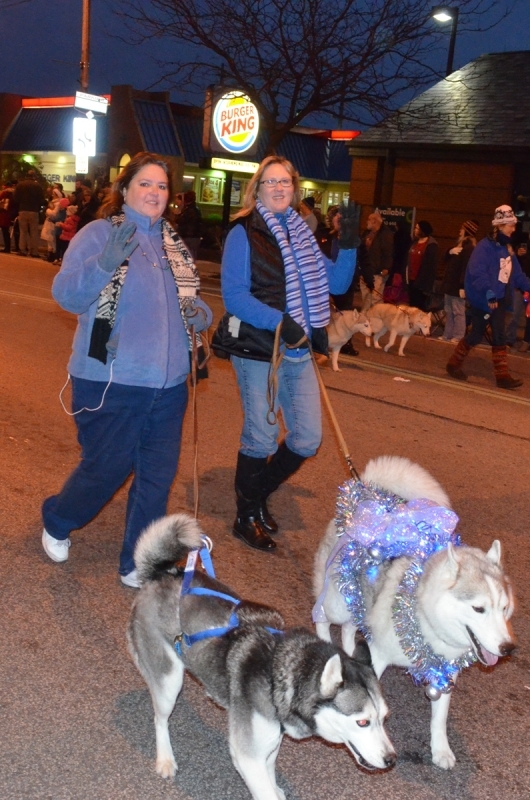 With beautiful gray-and-white coats and distinctive eyes, Siberian Huskies always represent a hit at Light Up Lakewood. These intelligent canines flourish in wintry weather and in some ways have become synonymous with Lakewood’s annual holiday festival. Lakewood’s crown jewel of a downtown library plays an integral role in making Light Up Lakewood a favorite holiday event. Library visitors can enjoy a host of musical performances, as well as a visit from Santa Claus. It’s the Light Up Lakewood epicenter for crafts and other children-centered activities. As a prelude to the day’s main events, a King and Queen of Light Up Lakewood get crowned at 3 p.m. at Plantation Home, which has served as the longtime sponsor of this tradition. This prestigious honor for two high school juniors comes with a scholarship, as well as recognition during the Holiday Parade and Lighting Ceremony for their service to the community. Who doesn’t love a parade? Lakewoodites come out in droves to observe all the pageantry as Light Up Lakewood’s Holiday Parade makes its way down Detroit Avenue from Manor Park to Lakewood Public Library. The Lighting Ceremony at City Center Park provides a treat for all ages. 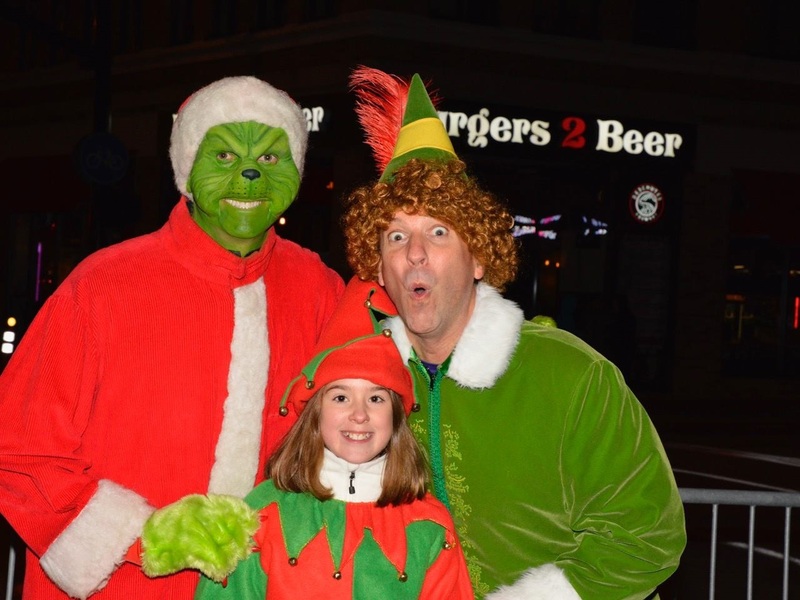 When Santa Claus, Buddy The Elf and the “Why I Love Lakewood” essay contest winner flip the big red switch, the areas surrounding the Main Stage become illuminated with holiday lights. There’s something special about watching flashes of brilliant color splash across the December sky above the rooftops of Downtown Lakewood. The Fireworks Show represents a feast for the eyes and a fitting culmination to LakewoodAlive’s signature community event. Lakewood is chock-full of community vibrancy, and perhaps no single event better illustrates this than Light Up Lakewood. Thousands from across the region will attend, yet you’ll repeatedly bump into people you know while you collectively enjoy a holiday-infused downtown setting. At its core, the holiday season is all about spending quality time with the people you love. As a free, family-friendly community event, Light Up Lakewood affords families and friends a perfect opportunity to connect for a special holiday experience. We hope to see you and your family on December 2.